Package delivery company UPS has announced new logistics service to deliver medical samples via drone. Partnering with drone company Matternet, UPS will utilise drone flights to support medical logistics at US healthcare system WakeMed’s flagship hospital in North Carolina. According to Matternet, the majority of medical samples are currently transported by courier cars. However, the use of drone transport makes on-demand and same-day delivery easier and could help cut costs. The use of drones for delivering essential medical supplies has obvious benefits for rural or remote areas, with medical drones able to navigate challenging terrain more effectively than land vehicles. However, they are also useful in urban areas, as they avoid hold ups caused by heavy traffic. Last year, the Vanauatu Ministry of Health, with support from UNICEF, successfully delivered vaccines to people living on the remote island of Vanuatu, enabling 13 children and five pregnant women to be vaccinated. The North Carolina Department of Transport is looking at ways to improve healthcare access for residents, and supported Matternet in conducting first-round test flights using Matternet’s drone technology on WakeMed’s campus in August 2018. The programme uses Matternet’s M2 quadcopter, which is powered by a rechargeable lithium-ion battery and can carry payloads weighing up to 5 lbs over a distance of up to 12.5 miles. Through the programme, medical professionals will be able to load a medical sample such as blood onto a drone at one of WakeMed’s facilities, which will then be carried to another hospital or pathology lab. 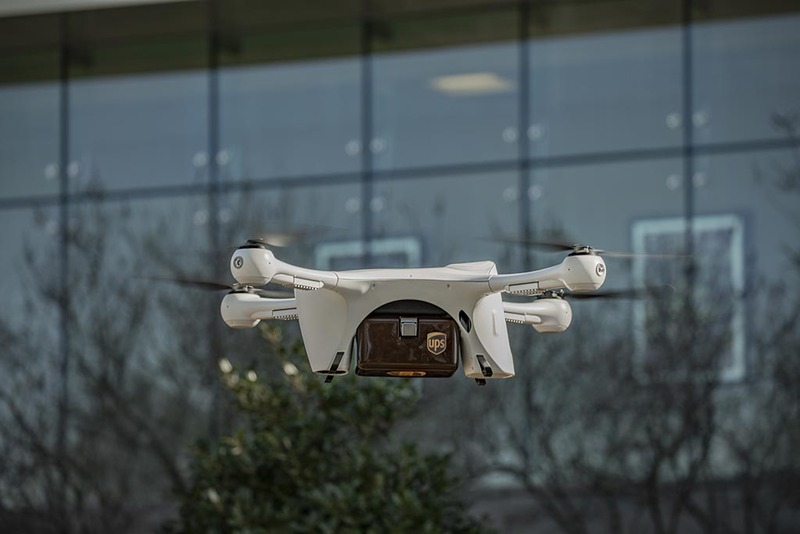 Through the ongoing programme, and UPS and Matternet will consider how drones can be applied to improve transport services at other hospitals and medical facilities across the country. This collaboration is the latest UPS medical drones programme, after partnering with GAVI and Zipline in 2016 to deliver blood products to remote parts of Rwanda. Matternet has already completed more than 3,000 flights for healthcare purposes in Switzerland.